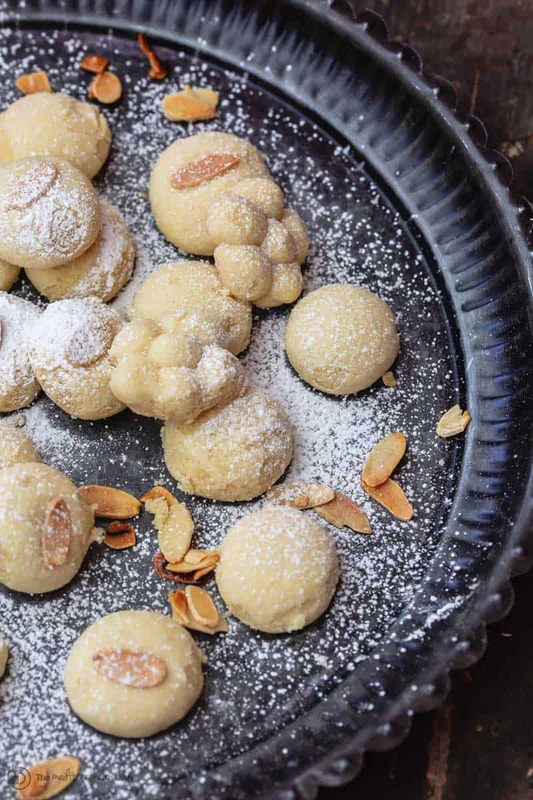 I’m so excited to share a childhood favorite: Egyptian-style butter cookies! Bite-size, melt-in-your-mouth butter cookies that are just the right amount of sweet. Best part? 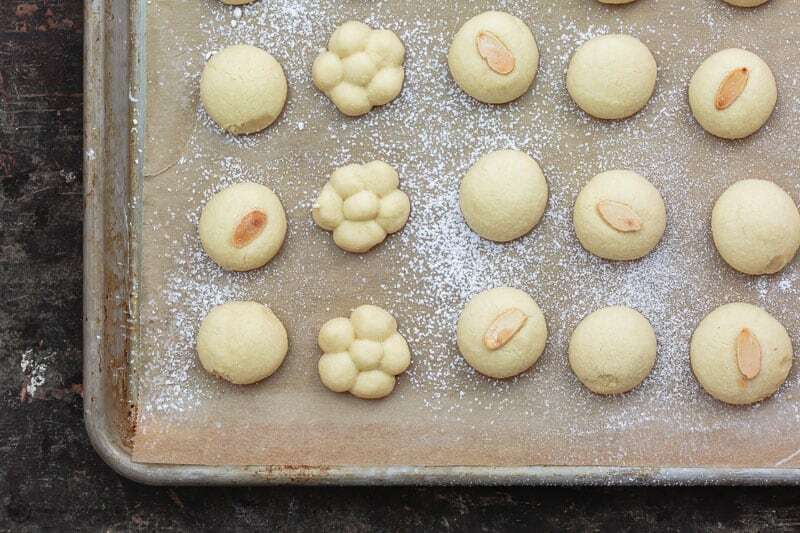 This butter cookies recipe requires so little work and only 3 ingredients: Ghee (highly clarified butter); powdered sugar; and flour. 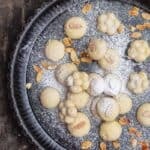 This recipe makes 35 small cookies; and I can assure you, they will be devoured fast! Step-by-step tutorial included. Whenever I’m in a conversation about cookies–which seems to be happening more lately–I end up talking about my favorite childhood cookies called Ghorayebah (gho-ra-yeb-ah.) They’re, more or less, Egypt’s signature cookies, which my mom made every occasion you can think of, but I most vividly remember them as Easter cookies. I never knew why these were mom’s go-to cookies until I made them myself. 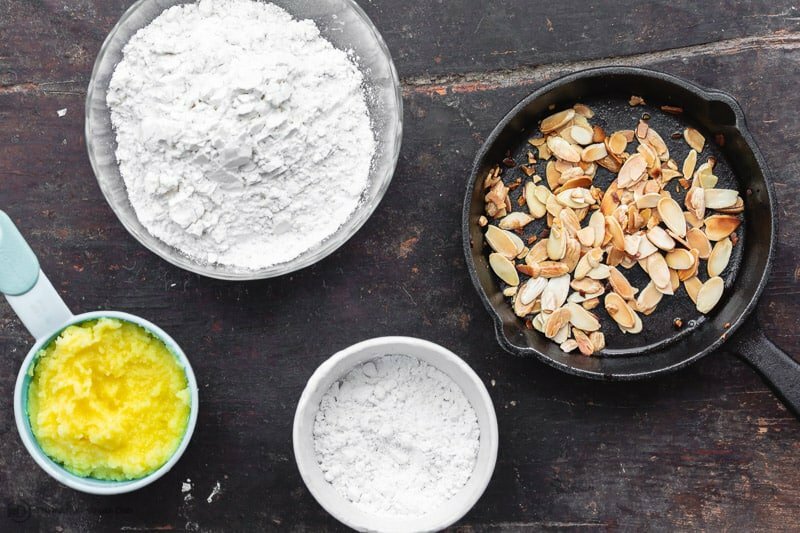 These are eggless cookies and they take 3 INGREDIENTS: ghee, powdered sugar, and flour. Mom throws in a hint baking powder to give them some “air” and “lightness,” she says. Don’t be confused by the ingredient picture, the shaved almonds are a completely optional garnish. Add them if you’re feeling fancy. 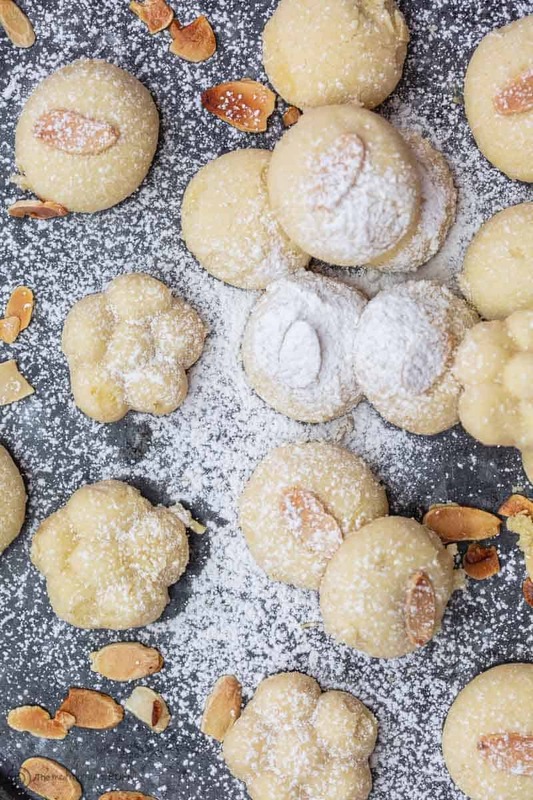 These bite-size butter cookies are the kind of no-fuss, so-darn-simple dessert you can whip up any night of the week. But they are crumbly, extremely soft, melt-in-your-mouth cookies, thanks to the use of ghee and powdered sugar. Some may describe Ghoryebah as shortbread cookies. Maybe. 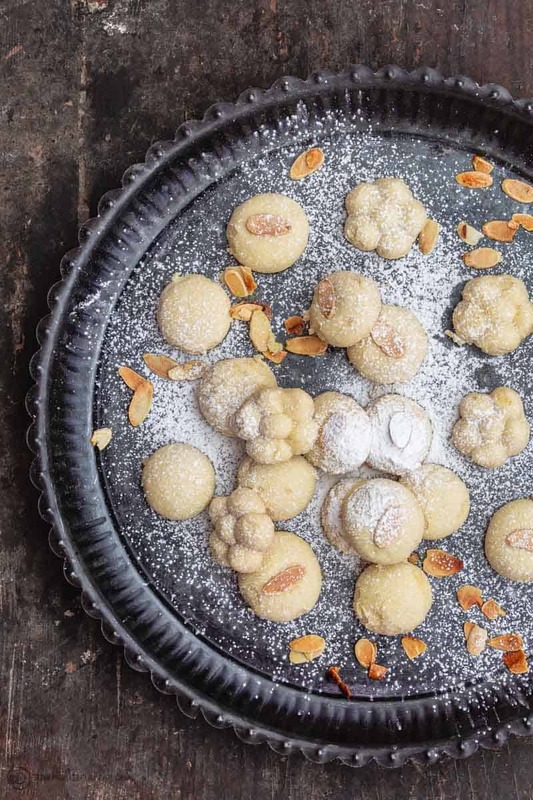 But, these Egyptian butter cookies have a less dense and far softer texture–let me think–almost like velvet, if the word “velvet” could ever be used to describe a cookie. Point is, pop one of these little cookies in your mouth, and without a ton of effort, it will melt. 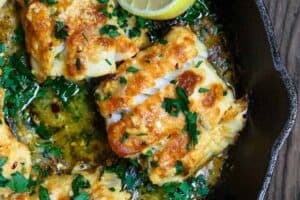 Can I use Unsalted Butter in Place of Ghee? 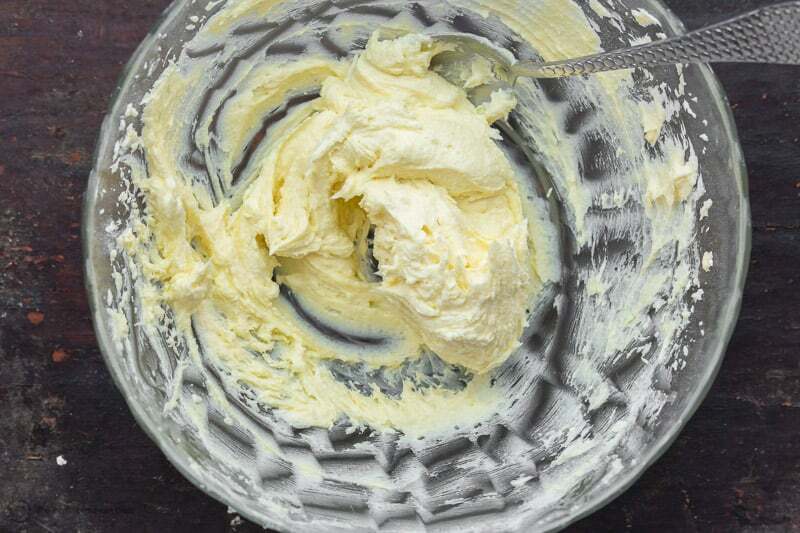 Before we get to the step-by-step for this simple butter cookies recipe, let me address one question right now. 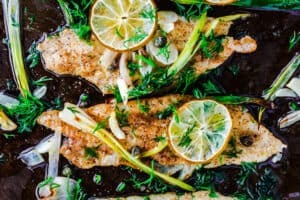 Can one use unsalted butter instead of ghee? NO. If you’re not familiar, ghee is a type of highly clarified butter made by slowly simmering regular butter. Water evaporates and the butter separates into liquid fats and milk solids. Once separated, the solids are removed, leaving us with pure goodness. Ghee is wonderfully aromatic and has a very subtle nutty flavor. And because it lacks the water content of regular butter, it produces far smooth, melt-in-your-mouth cookies. If you use butter instead, you will end up with crispy butter cookies. Frankly, completely different cookies than ghoryebah. Powdered sugar is also partially responsible for the texture of these butter cookies. So, there is no good substitute here for powdered sugar. 1. Whip ghee using a hand-held electric mixer. Keep the speed nice and low here. 2. 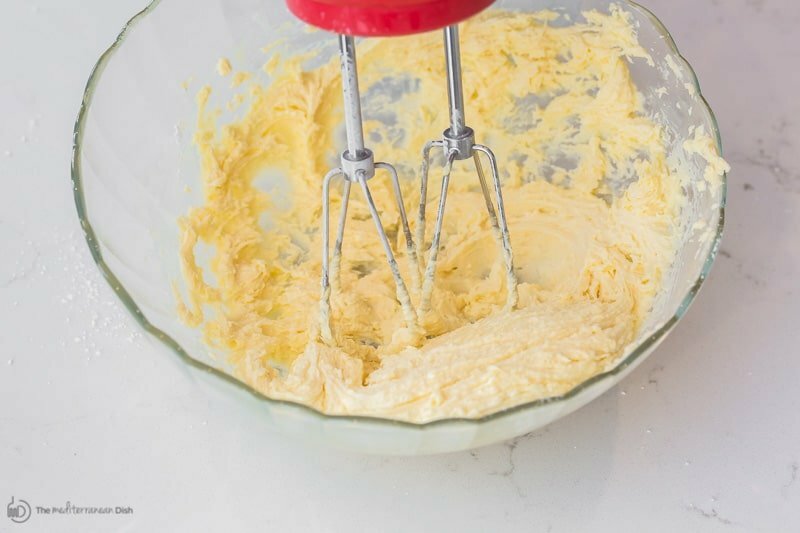 Add sifted powdered sugar and mix again until you get a nice, buttery and fluffy mixture (you can start slowly and increase mixer speed). 3. You’re done with the mixer at this point. Now, add baking powder. 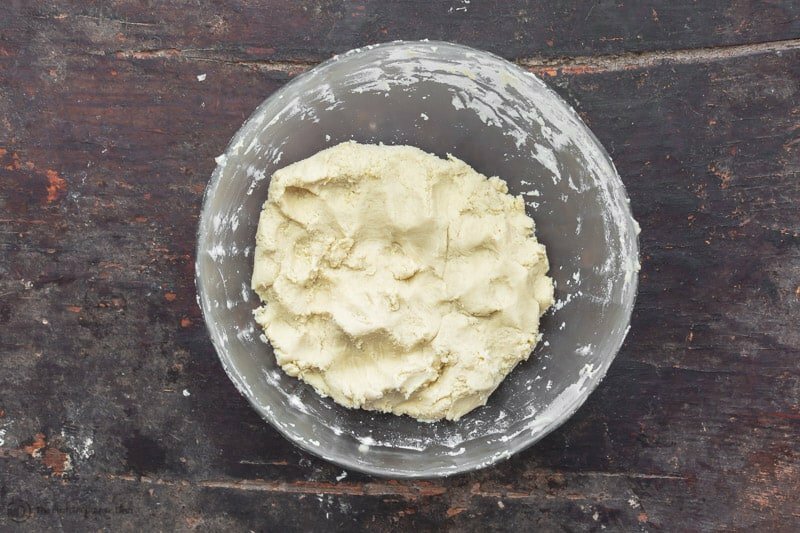 Add flour in stages…start with 1 cup and knead to incorporate, then add the remaining cup and knead until well incorporated into a soft dough. Cover and refrigerate for 20 minutes so the dough firms up a bit. 4. Form small walnut-sized balls, and ever so lightly press on top. 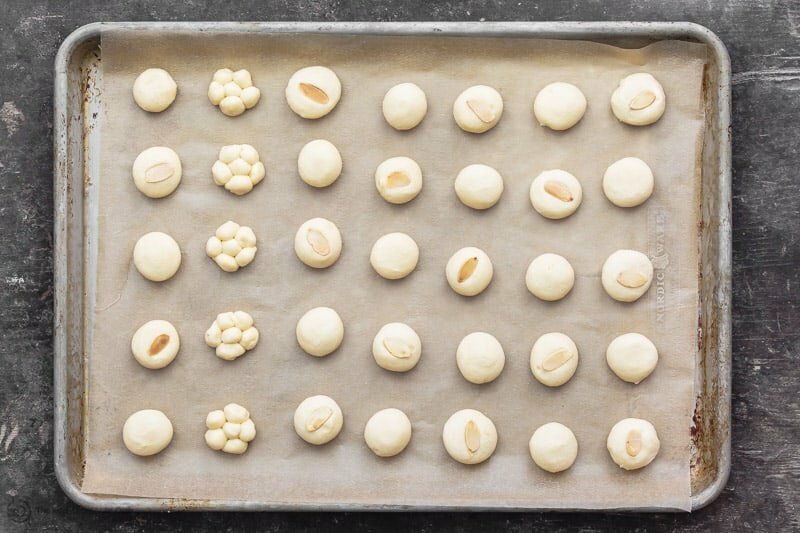 Arrange on baking sheet lined with parchment paper (leave a little space in between). If you like, gently press a slivered almond on top of the cookies. These are a bit of an indulgence, so I make them only on special occasions. And when I do, they’re gone within the hour! But if you have any left, store cooled butter cookies in a tight-lid glass container or tin. They will keep for about 2 weeks if stored properly in a cool area. It seems I forgot to rate the cookies 😬. They are DELICIOUS!!!! My 8 year old granddaughter and I made this recipe, we had a lot of fun together and the end result was a bunch of delicious cookies to share during Easter season! Colleen, if it looks smooth and somewhat fluffy, that is just fine. It is not going to double in size or anything like that. It’ll get smooth and a bit airy, that’s all. Cookies would have to be my favourite sweet treat – and these are my new favourite cookies! Delicious! This looks right up my alley, I love both cookies and exotic cooking! 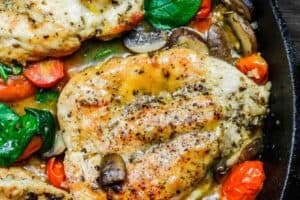 Is it possible to use another type of flour in this recipe as I am gluten intolerant? Debbi, if there is a gluten free flour you typically use for baking cookies, it should work. But I have not tried a different flour myself, so I can’t tell you a specific one for certain. They are perfect bites of sweetness. Can’t wait to try them. 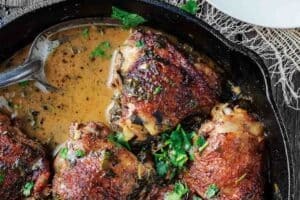 I just bought ghee and I am so excited to give this recipe a try!! Never had a cookie like this before! Excited to try it. These remind me of the cookies my grandma used to make. I can’t wait to make a batch! These look like the perfect sweet snack! Great for my cookie jar! Perfect with a nice cup of coffee! Simple cookies with quality ingredients are the best—especially if they come with wonderful childhood memories! 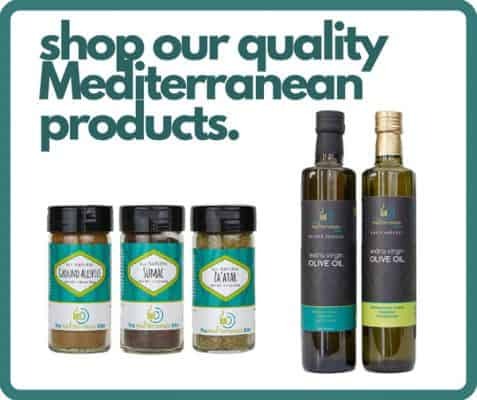 Love recipes that require little ingredients! Love powdered sugar on cookies! They look so pretty & yummy! I am drooling just looking at these gorgeous pictures! 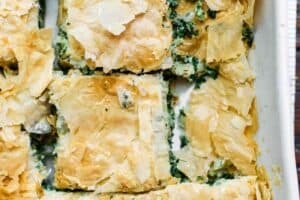 I can’t wait to make these again! About how much butter does it take to end up with 1 cup of ghee?